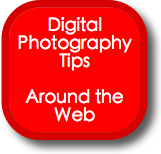 It has been a while since we did a whip around the photography tips, videos, opinion pieces and tutorials section of the web to showcase what some of our favorite sites have been writing. Here’s just 9 of the cool links we found earlier in the week – take a few minutes to surf by them – there’s some excellent stuff in this lot! Thanks for including my blog on the list, I'm flattered! #9 is worth the quick read, the rest I will easily live without.